Every meal is handcrafted in our kitchen with only the finest and freshest ingredients. The key to our cooking lies in the art of blending spices and herbs and selecting ingredients based on their freshness and quality, rather than any sophisticated cooking techniques. Every meal is handcrafted in our kitchen with only the finest and freshest ingredients. We don’t take shortcuts and pay attention to detail, from how we prepare our food to its presentation, to provide inviting, inspiring dishes that will keep you coming back for more. We have been experimenting and learning the art of cooking for decades. From having a frozen food business to doing private event catering, we have done it all and want to do some more. We wanted to create a restaurant that serves fresh and flavorful food with a twist. In a casual but modern space with great customer service. Where the food is both fast and affordable. 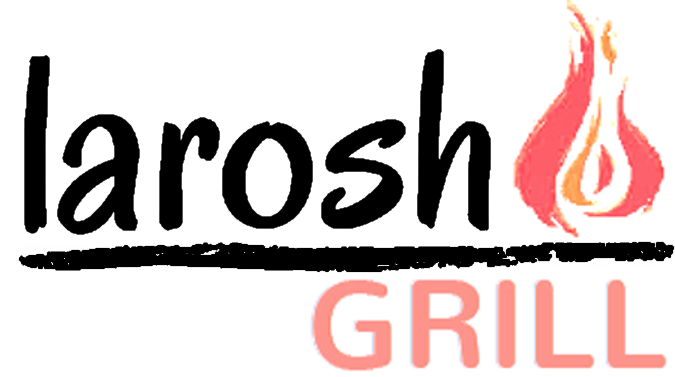 That is how Larosh Grill came to be. Our South Asian American Fusion food offers flavors like you have never tasted before. No food leaves our kitchen that we ourselves would not eat. Small fried pastries filled with potato and spices. Served with chutney. Small pastries wrapped with chicken,vegetable, and egg. Served with chutney. Fried pastries filled with savory minced beef and spices. Served with chutney. Fried pastries filled with chicken and mac’n cheese. Patties of minced meat with lentils, egg, and spices. Patties of shredded chicken with potato & spices. Flavorful chicken wrapped in a thin wrapper fried and served with our house made sweet and sour sauce. Big meaty chicken wings, seasoned with our special mix of spices, grilled to perfection and served with buttermilk ranch. Corn and egg cooked in a thick chicken broth sweet but tangy. Fresh vegetables and pasta in a thick broth – a vegetarian classic. Premium roast beef slowly cooked with homemade spices and served on a crispy french bread with lettuce, tomatoes, and chutney. Served with fries. Beef, lettuce, ripe tomato, cheese, and our special sauce. Served with fries. Karachi Bun Kabab – Ground lentil patty fried in egg batter, served with egg, onion, and house chutney. Boneless chicken breast seasoned to perfection, grilled and served on a toasted bun with fries. Skewere-roasted kabab wrapped in a paratha (+$1.00) or naan with chutney and onions. Samosas finished with chickpeas, topped with a combination of yogurt, mint and tamarind chutney. Chickpeas and spicy potatoes topped with yogurt, chutney, and tangy spices. Crispy chicken tenders served with fries. Fries crispy potatoes sprinkled with masala. Chicken leg marinated in yogurt and traditional spices barbecued over grill. Chicken breast marinated in yogurt and traditional spices barbecued over grill. Minced beef mixed with onion and spices. Chicken minced mixed with cilantro, onion, spices, and grilled. Boneless chicken marinated in yogurt and spices. Beef marinated with yogurt and spices barbecued over grill. Lamb marinated with yogurt and spices barbecued over grill. Beef marinated with papya, yogurt, spices, and barbecued over grill. Chicken marinated with papaya, yogurt, spices, and barbecued over grill. Deep fried whole chicken marinated with larosh special mix. Served with basmati rice and fries. Bandera Quail grilled to perfection.  Goat chops marinated with larosh special mix and grilled to tender perfection. Fish marinated in yogurt and traditional spices barbecued over grill. Marinated with fresh orange juice & spices. Minced meat skewer served with fried eggs and basmati rice. Chicken Boti, Beef Boti, Chicken Seekh Kabab, Beef Seekh Kabab, and Chicken Tikka Leg placed on a bed of rice. Served with salad and chutney. Beef cooked in a spicy sauce, garnished with cilantro, ginger, and green peppers. Beef and nali cooked in a spicy sauce, garnished with cilantro, ginger, and green peppers. Beef and maghaz cooked in a spicy sauce, garnished with cilantro, ginger, and green peppers. Beef, nali, & maghaz cooked in a spicy sauce, garnished with cilantro, ginger, and green peppers. Chicken cooked in tomato, ginger, and spices. Mutton cooked in tomato, ginger, and spices. Chicken breast cooked in ginger and spices. Chicken served in a mildly spiced butter curry sauce. Chicken served in a mildly spiced curry/ginger sauce. Chicken marinated in spices and yogurt, baked in a tandoor oven and served in a masala sauce. Paneer (cheese) marinated in spices and yogurt, served in a masala sauce. Spinach, tomato gravy sauce and paneer in a thick paste made from puréed spinach and seasoned with spices. Stir fried okra cooked with spices. Chef’s Choice – Maash or Channa. Slow cooked broth with cow meat. Slow cooked broth with goat meat. Slow cooked blending the flavors of spices, meat, barley and wheat. Beef gola kabab fried with butter. The dish’s name is an onomatopoeia from the sound of the two sharp blades that hit the griddle as they cut up the meat. Slow cooked basmati rice in a thick gravy flavored with spices and layered with chicken. Slow cooked basmati rice in a thick gravy flavored with spices and layered with goat meat. Tilapia seasoned and fried to a crisp served on a bed of fresh basmati rice. Chef’s Choice – Maash or Channa with slow cooked basmati rice. Aloo Tarkari, Chola Tarkari, and Halwa served with 3 pieces of Puri. Fluffy omelette filled with fresh green onions and cheese. Minced beef cooked with herbs, topped with two fried eggs. Served with roti and potatoes.